There is always an element of stress when moving house. But even more so if you are moving in London! The enormous population and broad cityscape make it one of the most interesting cities in the world – but also a logistical nightmare! We’ve been helping Londoners move house for over thirty years now and it has been fascinating to see how the city has evolved over this period. 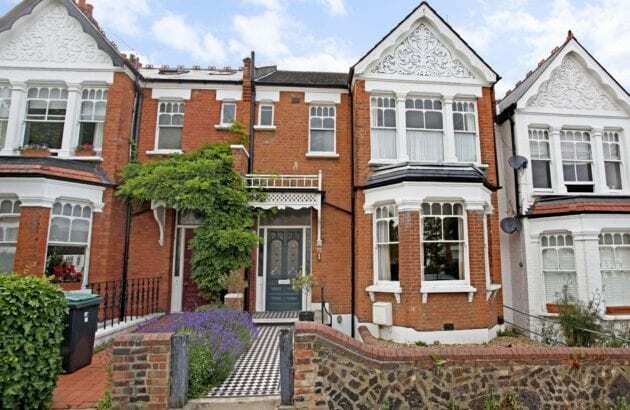 The problems people face when moving house in London, however, have remained largely unchanged. Our clients and friends often ask us advice on moving in the big smoke, so we thought it was about time we put our tips into writing. Of course, no advice can guarantee a smooth move, but your odds will increase if you pay attention to the following. Move at the wrong time and you will spend hours in traffic. This is a common stress point. We tend to start the move from 8.00am to avoid the traffic everyday including weekends. Make sure to check big events happening locally that will bring in more traffic to a standstill– football games, concerts, conferences etc. Parking in London is notoriously difficult and expensive. You wouldn’t believe the amount of times clients have called us having arrived at their new home in their removals van, only to find they can’t park it anywhere! If you have your own off-street parking, then great! If not, then you need to consider applying for a parking suspension from the local council. The best way to do this is to visit the website of your local council. If you are using a professional removals company they should be familiar with this process, so you can likely leave it to them. Sometimes it’s impossible or impractical to move everything at once. This is a classic point of anxiety, especially if you have to move out before you’re allowed to move to the new home. These facilities offer vital flexibility at affordable rates. If you are moving into, or out of, the centre of London, then see if you will be passing through the Congestion Zone. This is fairly expensive if you’re using multiple vehicles (£11.50 for each one, per day) and is also very busy. Avoid driving between 7am and 6pm if you want to get around the charge. If you decide to take the hit, make sure you pay online with 14 days to avoid a fine. The stereotype of unfriendly Londoners is largely a myth in our experience. A well-timed knock-and-introduction can often lead to an offer to help with unloading the van. We’ve witnessed occasions where virtually the whole street has got involved! It’s also a great opportunity to get to know your new neighbours. Some areas of traffic are notorious for heavy traffic. If you’re local knowledge isn’t great, try using the app Waze – we’ve found this to be the best at finding routes around traffic. But be careful to avoid narrow roads if you are driving a big van. We’ve had calls from clients who are quite literally stuck on a backroad. Perhaps the easiest way to ensure a smooth move is to hire a local removals company, as they will probably have a well-oiled process that is tried and tested. Be sure to look at online reviews though, as a bad removals company may end up actually adding stress to the process. 8. Accept that it will be hectic! The final top tip is pretty simple, but the hardest for many to actually do. Accept that you’re moving in the busiest city in the country and that things will never be simple. So embrace it and expect difficulties. After all, the traffic and the mayhem are all a part of the wonderful joy of living in London! Max Oldfield founded Ants Removals in 1985. Originally the company specialised in residential furniture deliveries and small removals. Under his guidance the company has gone from strength-to-strength, operating throughout the UK.